Congress president Rahul Gandhi will be addressing Maha Sankalp Rally in Bikaner today. He is on a two-day visit to poll-bound Rajasthan. It has been reported that Mr. Gandhi will reach the Nal airport in Bikaner at 2 pm and then he will start his tour of Bikaner division from the Guru Jambheshwar Dham in Mukam. He will also take out a Roadshow from the Nal airport to the Medical College Ground where he is going to address the rally. Yesterday, Rahul had visited Mania village in Dholpur which is the native place of BJP Chief Minister Vasundhara Raje. 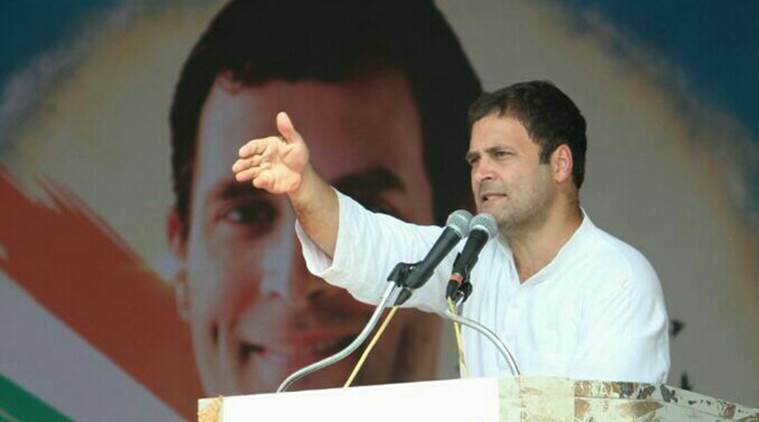 While addressing a rally the Congress president questioned the Central and Rajasthan governments on the initiatives taken for the welfare of the poor, small traders and farmers in the last four years. 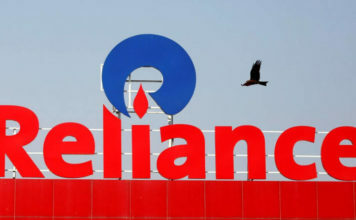 He also brought up the Rafale issue saying that it has now become clear that ‘the Prime Minister is a ‘chowkidar’ of industrialist Anil Ambani’. “Modi took him to France to sign the Rafale fighter jet deal and transferred Rs 45,000 crore in his pocket,” he said. 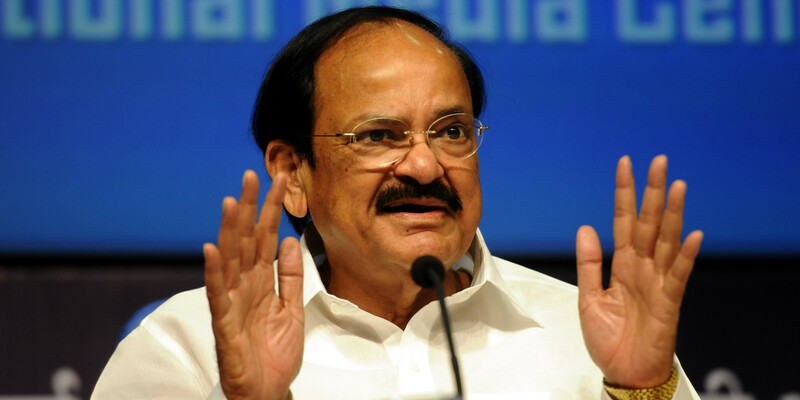 Comparing the works done by the previous Congress-led UPA government with the current BJP-led NDA government he said that the Congress government had introduced the Right To Information Act, loan waiver of Rs 70,000 crore for farmers, midday meal scheme and MGNREGA. “Now, I question Modiji and Vasundharaji — what did you do for the poor, farmers and small traders in four-and-a-half years?” he asked. He also mocked BJP government’s ‘Beti Bachao, Beti Padhao’ campaign and said that it should be renamed to ‘Beti Padhao and BJP MLA se Beti Bachao’. In 2013 elections, Congress had to face loss in Bikaner division. The party won only three seats out of the 23 Assembly seats here. 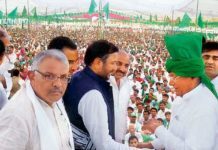 In Bikaner district, the party was restricted to only two seats out of the. 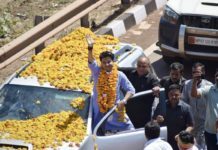 Rajasthan has a history of changing power between the BJP and Congress every five years. 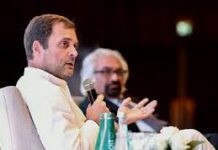 This time too according to the opinion polls carried out by ABP News-C Voter, the Congress party is likely to get 142 seats in the 200 chair Assembly. Another survey carried out by C fore has also predicted that the Congress will get 124-138 seats. Elections in the state will be held in a single phase on December 7 and results will be declared on December 11. The tenure of Rajasthan Assembly will expire on January 20 next year.